Why use Hire Limo London? Because we are here to make life simple for you. We at Hire-Limo-London.co.uk do not want you to go through the procedure of phoning different limo companies, when you have more important duties to attend to such as planning your special event. 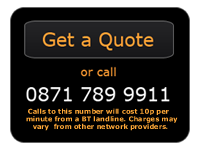 We aim to provide you with competitive prices and a fantastic service. We have a knowledgeable sales team who are able to provide advice on different vehicles such as the Hummer, BMW X5, Lincoln and many more whilst working with you to ensure your occasion is an enjoyable yet memorable one. We are one of the fastest companies to reply to all our online enquiries and this is why we have the motto ‘more enquiries means more business’. We reply to all enquiries within 2 working hours. Limotek is continuously stiving to grow and welcome all suggestions and comments to help improve our service to you. We are here to help make things easy and also extra special. We have access to a vast amount of different limousines from standard Stretch Lincoln limousines, H2 Hummer limos, H3 Hummers, Range Rover limos, Porsche Cayenne limousines, Ford Excursion limo hire, Lincoln Navigator limos, BMW X5 limousine hire, Jeep Expedition limo hire, Party Buses, Fire Engines, Chrysler C300 Baby Bentley limos and even the new Audi Q7 limousine. We offer limousine rental in any area of London but also provide limousines nationwide and cater for every occasion, from, Weddings, Birthdays, Prom Nights, Hen and Stag parties and many more.